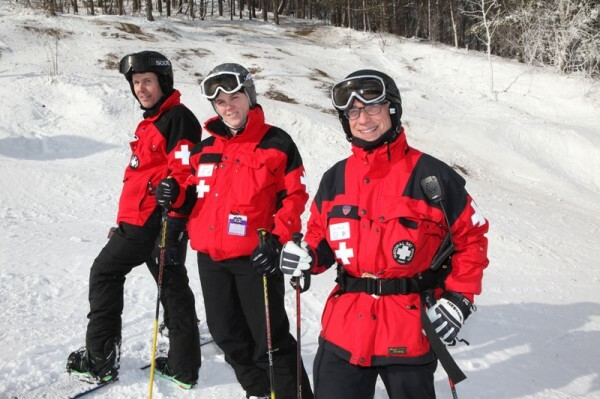 As members of the ski patrol at Boston Mills/Brandywine, Dr. Mike Bird, Nicole Green, RN, and Dr. Michael Spector rule the slopes. 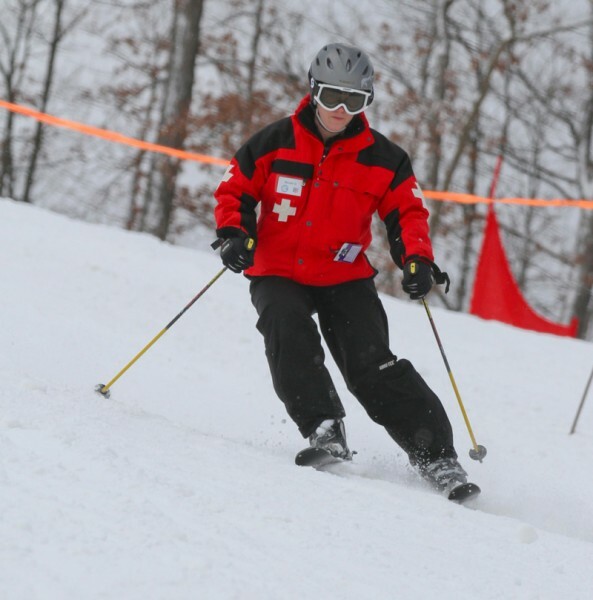 Editor’s note: as of January 2016, Dr. Eric Massanyi, an Akron Children’s pediatric and adolescent urologist, joined the BMBW patrol, but has been a ski patroller for 21 years. “It’s one of the reasons I pursued a career in medicine,” he said. In fact, he learned to ski at 2 years old at BMBW. What would be considered a dream job for many is a reality for Nicole Green, RN, and Drs. Mike Bird and Michael Spector. 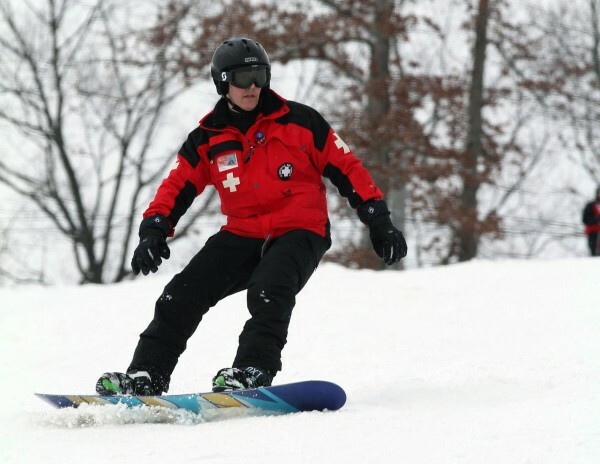 Throughout ski season, they join the largest ski patrol in the U.S. – more than 280 strong – to serve as safety advocates and provide emergency first aid on and off the mountain. 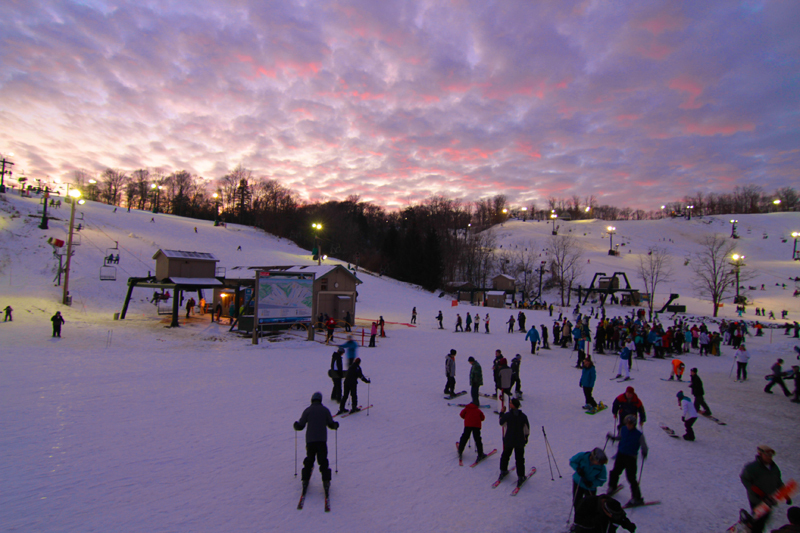 Each season, they assist more than 1,200 injured skiers and snowboarders, helping with anything from abrasions, dislocations and fractures to head injuries and heart attacks. Something he does pretty well, added Dr. Bird. He has also served as a ski instructor to the Mogul Mites (ages 5 – 7) and is working toward Professional Ski Instructors of America (PSIA) Level 3 Certification to improve his skiing and teaching ability. It may seem like a lot of responsibility for someone who’s a leading pediatric heart surgeon during the day, but Dr. Spector just shrugs it off. The patrollers may be volunteers, but earning this status is a coveted honor, and a lot of work. 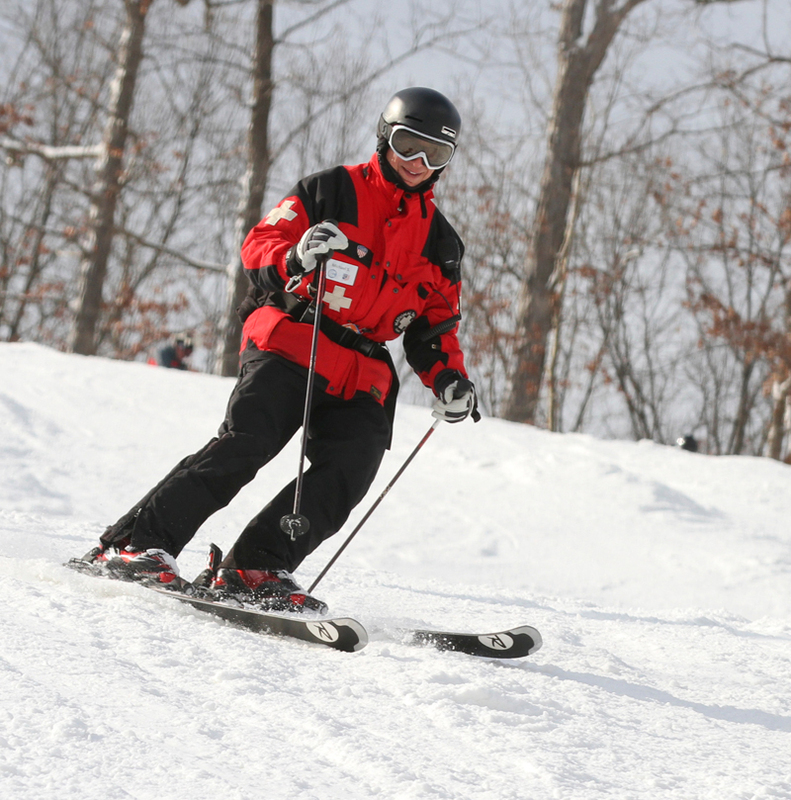 To be certified, team members must complete 120 hours of training, and 10 hours each year thereafter, in addition to spending about 100 hours a year working on the slopes. A simple help wanted sign in the window at BMBW piqued Green’s interest, who’s been skiing there since age 7. Her nursing skills made her a good candidate, but she also thought it would be a perfect way to get out of the house, stay active in the winter and ski for free. This is her 13th season volunteering for the ski patrol. Dr. Bird, vice president of quality and patient safety, is the newest to the team, with one season under his snowboard. As an emergency medicine physician, he is well-suited to the role, but his snowboarding skills are taking a little longer to develop. “I’ve gotten better after many hours of lessons, but I still need to pass a test before I’ll be allowed to bring a patient down the slopes,” said Dr. Bird. It’s a learning curve shared by many who have been bit by the skiing/snowboarding bug, an experience the kings of the mountain hope to make a safe and fun journey. Editor’s note: as of January 2016, Dr. Mike Bird is beginning his 5th year and is now a certified alpine patroller.